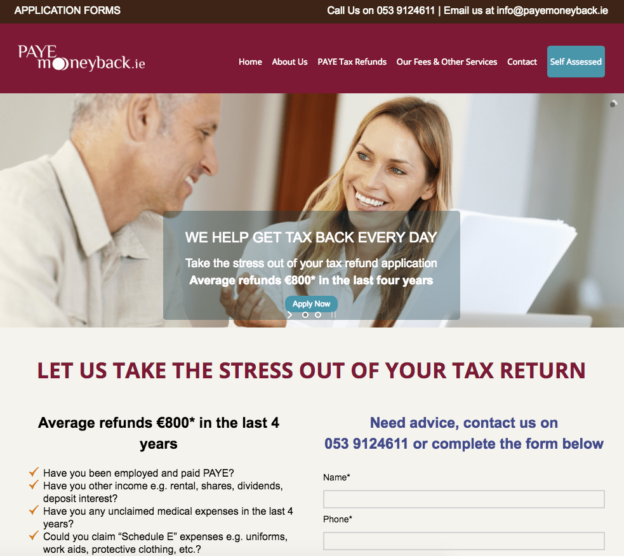 PAYEmoneyback.ie offers an excellent customer focused and professional tax team based in County Wexford, with offices in the towns of Wexford, Enniscorthy and New Ross. The team includes accountants, qualified payroll experts and customer focused individuals – once you register as a client you will have a dedicated person dealing with your application. They provide taxation services for a wide range of clients covering income tax, corporation tax, capital gains tax, value added tax, and stamp duty.